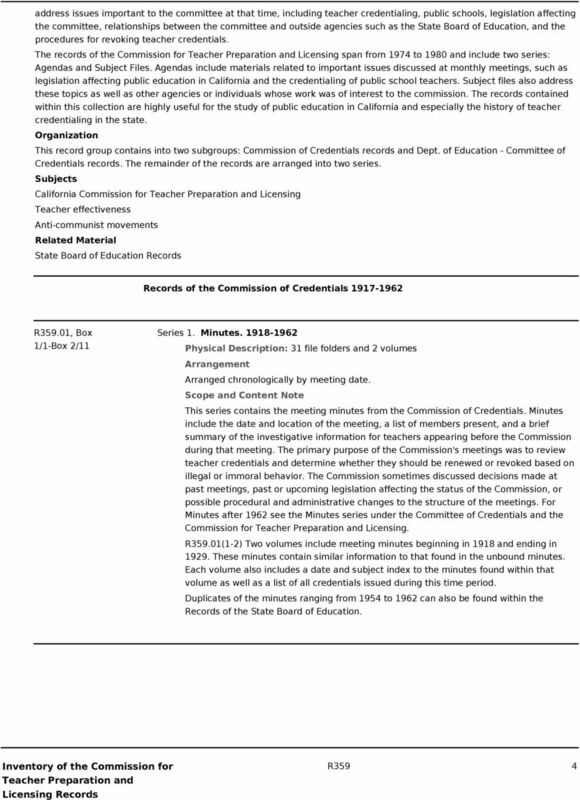 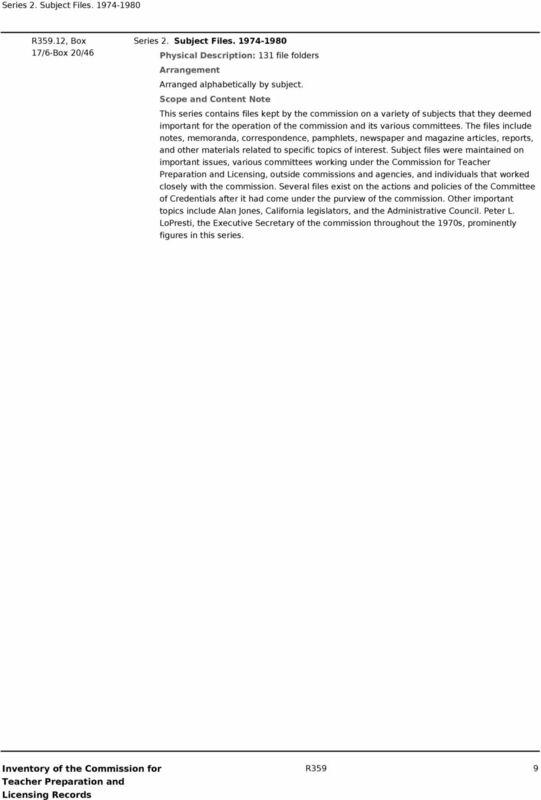 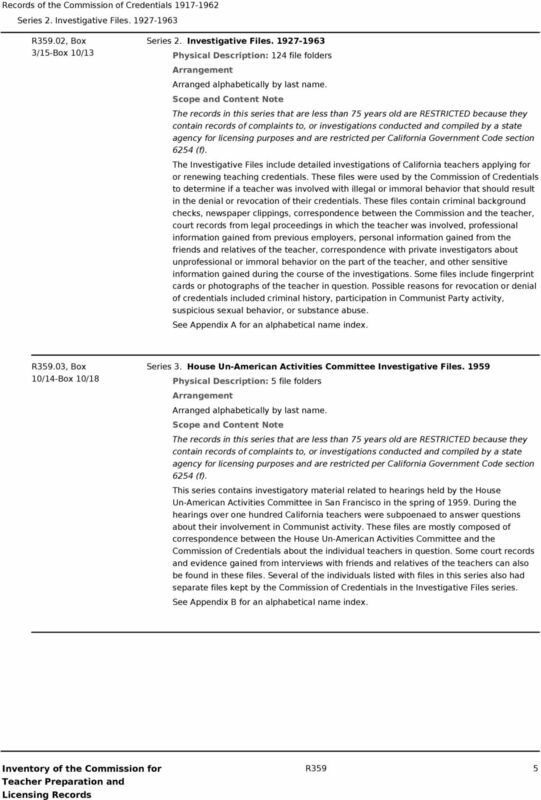 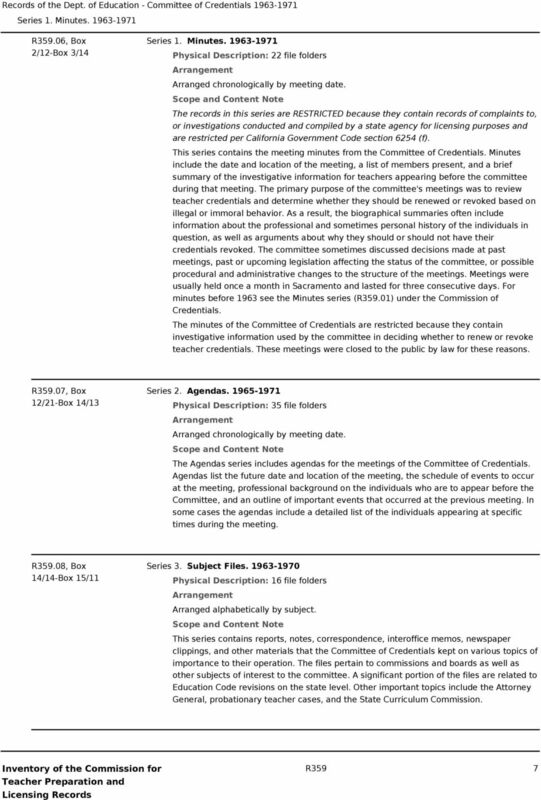 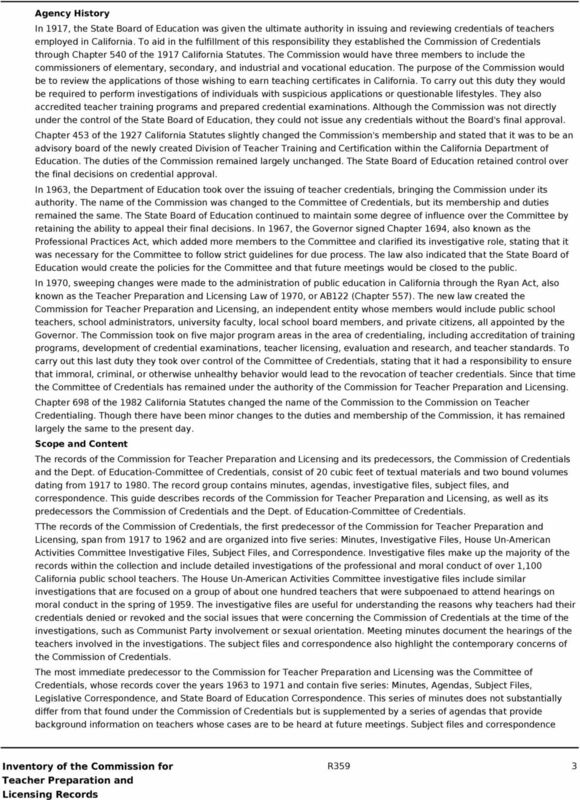 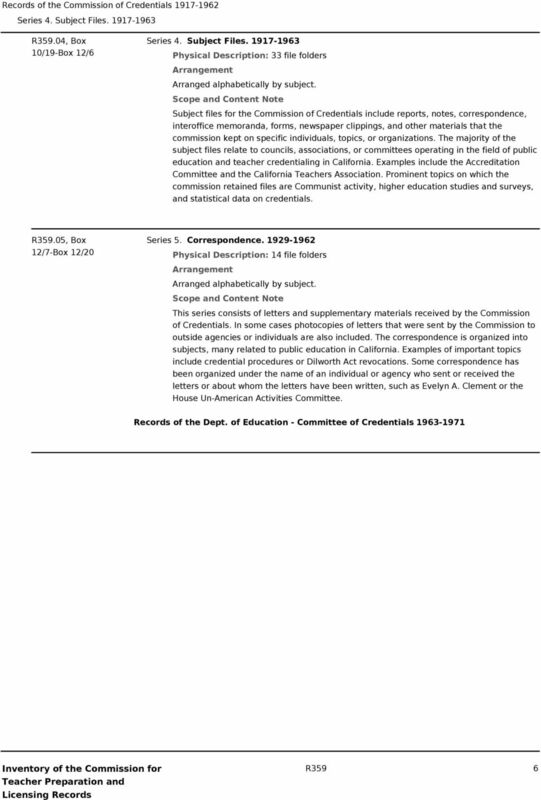 Download "Inventory of the Commission for Teacher Preparation and Licensing Records. 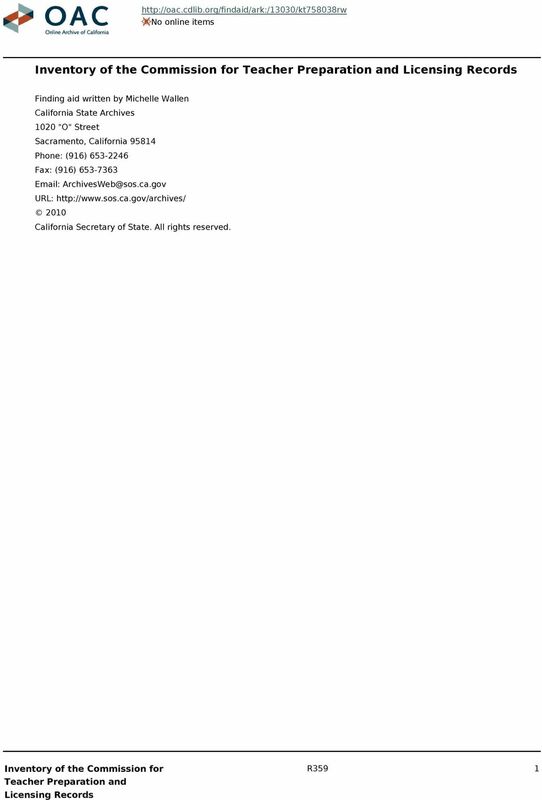 http://oac.cdlib.org/findaid/ark:/13030/kt758038rw No online items"
DISPOSITION INSTRUCTIONS: Item discontinued. 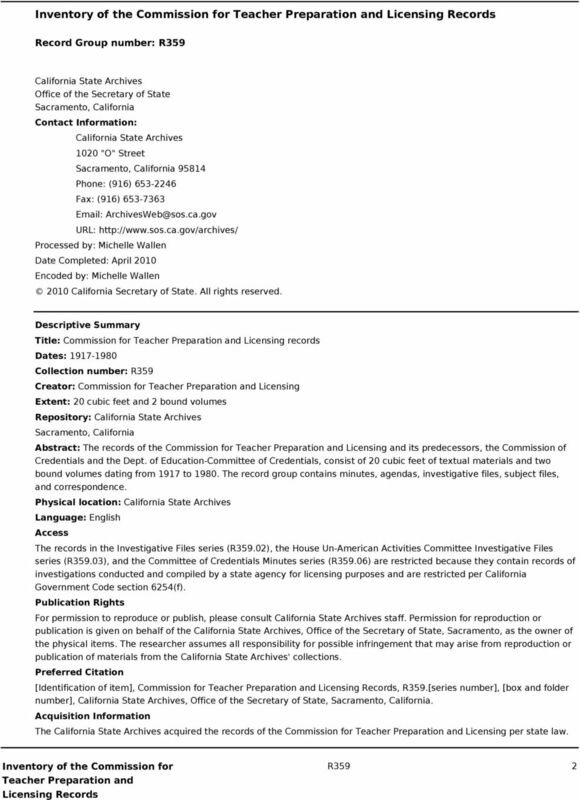 All records transferred to the custody of the Archives. 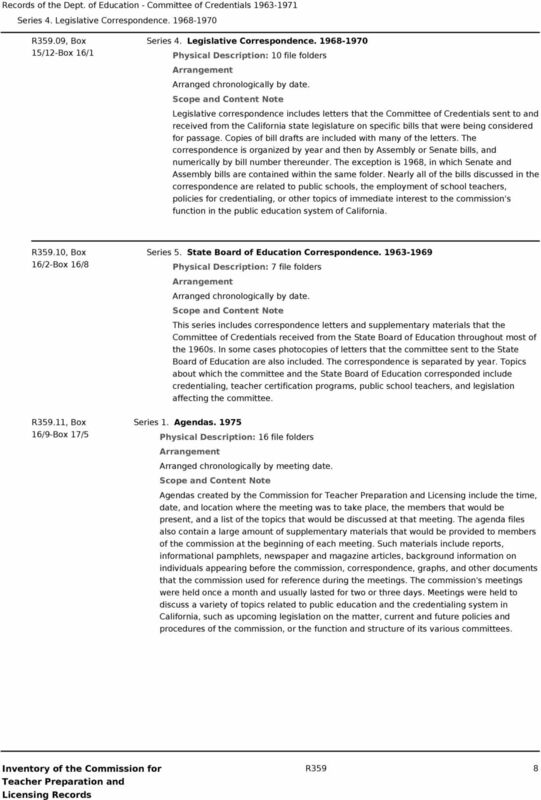 Published on SHEEO STATE AUTHORIZATION SURVEY RESULTS (http://sheeo.org/sheeo_surveys) Home > Oregon DOE Private and Career Schools Office Oregon DOE Private and Career Schools Office Vertical Tabs 1.